The 2018 Cruise Industry News Quarterly Magazine Summer Issue is now available in both print and digital, focusing on unique executive profiles, the leading brands operating in Europe and European markets, in addition to food and beverage, new technologies and the growing expedition market. Exclusive executive profiles feature in-depth interviews with Kari Pihlajaniemi, associate vice president and lead of Project Icon, newbuild and innovation, Royal Caribbean Cruises; Emre Sayin, CEO, Global Ports; and Entrepreneur and Shipowner Mario Ferreira, CEO, Mystic Invest. Cruise Industry News’ editorial team has also talked to the leading brands in Europe, including executives from MSC, Costa and Royal Caribbean, who give exclusive insight into their growth strategies and product differentiators, as well as covering national brands such as AIDA and P&O, and a range of smaller brands including Cruise & Maritime Voyages, Pullmantur Cruceros and Phoenix Reisen. Cruise Norway, MedCruise and Dreamlines give their projections from the port association and distribution sides, respectively. 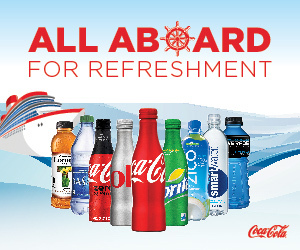 Extensive food and beverage section takes readers inside the procurement process at MSC Cruises and a number of smaller niche lines, while going behind the scenes with Celebrity, CMI, Norwegian Cruise Line and Oceanwide, covering their latest food and beverage offerings. Expedition market coverage features exclusive interviews with all the leading operators, sharing their plans moving forward in the 2018-2022 market segment boom. Connectivity articles discuss the latest technology solutions available to satisfy passenger and crew demands. Another unique and exclusive section is Working at Sea, outlining the industry’s recruitment needs and challenges as well as its huge job and career opportunities, in addition to HR strategies. Technical coverage focuses on LNG bunkering solutions, hybrid vessels and how ships’ garbage can be converted to usable energy. The Norwegian Bliss is also featured along with the conversion of the MSC Splendida for the Chinese market plus pay-off projections for the stretching of the Silver Spirit, and more. 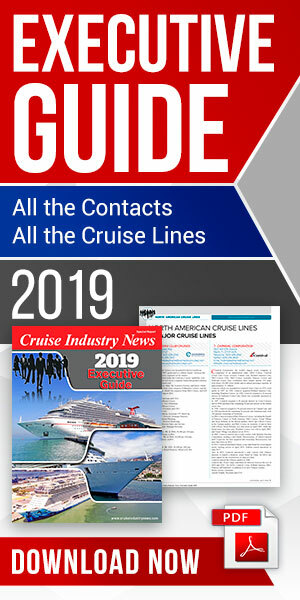 The 136-page Cruise Industry News Summer Issue is available on a subscription basis from Cruise Industry News.